When we discuss the dangers of distracted driving, the focus is so often on the failings of America's youngest drivers. Parents, educators and any number of advocacy groups are constantly driving the message home to teenagers: There is a time and place for texting, updating Facebook, posting a selfie to Instagram, or pursuing a rare Pokemon on Pokemon Go!—but it isn't behind the wheel. 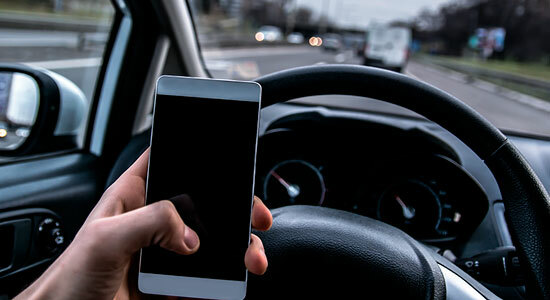 But a new survey recently conducted by Common Sense Media, a national nonprofit group, reveals that when it comes to distracted driving, parents are almost as problematic as their kids. While the survey and associated white paper sought to shed light on internet addiction and its effect on youngsters, it revealed some troubling distracted driving statistics regarding the driving habits of parents. The survey authors said the numbers give "cause for concern." We agree. The car accident injury attorneys at Edgar Snyder & Associates—lawyers who help people hurt in vehicle crashes every day—understand the dangers of taking your eyes and mind off the road for even a few seconds. That's why we wanted to take an opportunity to remind all the parents out there that they are more than just the decision-makers and caretakers in their homes—they also set the example for appropriate behavior. Setting rules and following them yourself. Make it a family rule: Keep your phone in your purse, glove compartment or book bag when you're driving, and then abide by the mandate yourself. Admitting when you can't resist temptation. If you know you don't have the willpower to refrain from checking your phone while you're driving or stuck in traffic, there's an app for that. Download one that will disable your cell phone when you're driving. Understanding your kids look up to you. You aren't just the decision-makers and caretakers in your household—you are also role models. Your kids love and respect you, and look to your behavior to help make a blueprint for their own. Make sure it's worth mimicking. Taking the Edgar Snyder & Associates' Safe Driving Pledge, and make sure all the drivers in your family do, too (remind your kids they can win a free VISA gift card for taking it—that could help convince them). We hope you're never involved in a distracted-driving accident, but if you are, know that our car accident attorneys will be there for you every step of the way to answer your questions and fight for your rights. Just call us—the case review is free, and there's no obligation to use our services. And remember: There's never a fee unless we get money for you.